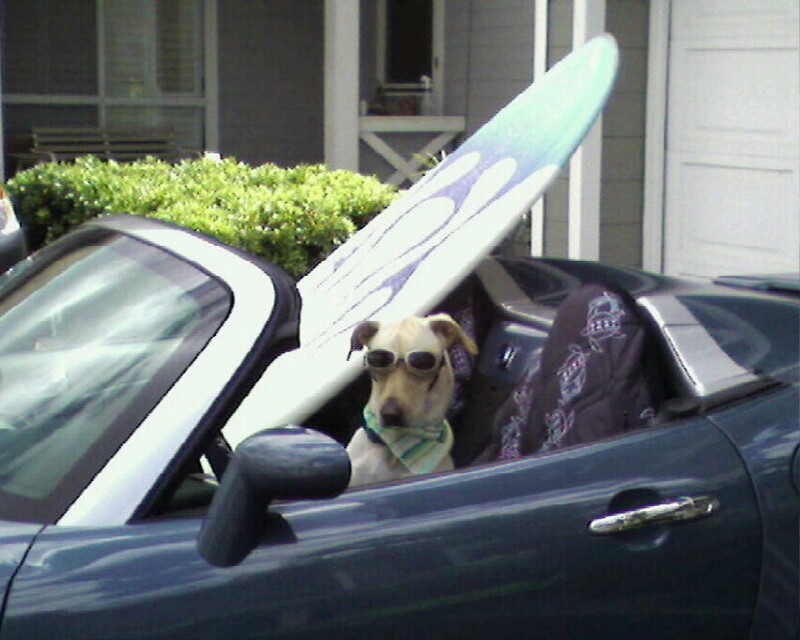 Aloha and welcome to "Dog Gone Hawaiian." 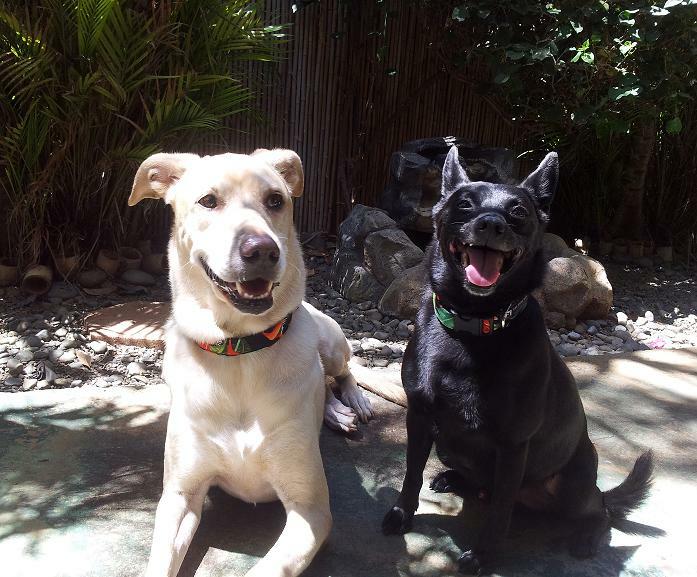 We're Nalu and Makua and want to tell you a little bit about our Mom, Lori's business. Located at Sunset Beach, on the incredible North Shore of Oahu, Hawaii, we offer professional pet walking & sitting services (over 11 years experience) tailored to your needs and at reasonable prices--we make it simple for you and your pets--less stress for both! We treat your pets as part of our Ohana (family) and specialize in serving the North Shore and surrounding area. We also manufacture and ship world-wide, a variety of high quality, Made-in-Hawaii pet products with a Tropical and Hawaiian theme. Our Goal is to share and spread the "Aloha Spirit" with our friends around the world. We're sure you'll enjoy browsing our site and find the services and products perfect for you and your furry friends! Don't forget to check out the pictures of some of our other Ohana members.